When you want your digital marketing efforts to deliver great results, focusing on keywords conversion and user experience work. All these factors help you attract, engage, and convert your target audience. The end result of an digital marketing campaign is to find the detailed info of your target audience like geographic, demographic, and psychographic variables. The more you know about your customers, the much better strategies you can plan. So, how to know your audience? Come up with a correct list of topics and keywords to target. Set up your pages to convert more efficiently. Here is a step-wise approach to know your audience in a much better way and also prepare a sound strategy to convert them. When you want to know your audience more and more, you should go about conducting market research. You need to associate with other departments to gather information that you can’t obtain being limited to your department. The best to do this is to connect with your sales team which has extensive knowledge of markets, consumer demands, and many other things. When you come to know all these things and combine within your digital marketing strategies, you will come up with a better plan. There would be various departments which can help you prepare your SEO strategies as well. You can also take the help of tools for gathering information about your target audience. These tools may be paid but can assist you in creating the foundation of information from basic demographic data to specific habits of customers. Social media has data on the likes, dislikes, favorites, hobbies of your targeted audience. If you want to explore the choices of your consumers, social media will certainly help you. This concept is called social listening. This comprises monitoring different social networks to explore what conversation is going about your brand, your competitors and subjects related to your business. You can find trends in your customers’ interests and issues. Also, you can determine which social networks your target audience is the most active on, as well as the influencers in that space. When you do social media research, you’ll come to know about the social media your target audience is most active on. Instead of asking your audience questions, you can listen to their social conversations and determine what type of content will be the most valuable and relevant to them. Till now, you’ve collected much information about your target audience and it’s time to make an IMPRESSION. Start building your buyer personas as “Marketers who use personas grab 73 percent higher conversions, as per Aberdeen Research”. A personality or persona isn’t a simple buyer profile rather it’s representation of your ideal customer that was gained through market research and real data about your existing customer base. You should sound like a voice from your ideal target audience that directly comes to associate with you for your marketing efforts. Think of and refer to your personas as real people instead of an abstract audience. This will help you get engaged in genuine conversations with your current and potential customers. When you had conducted a market research, you would have come across different personas with different characters, targeting different audience zone. 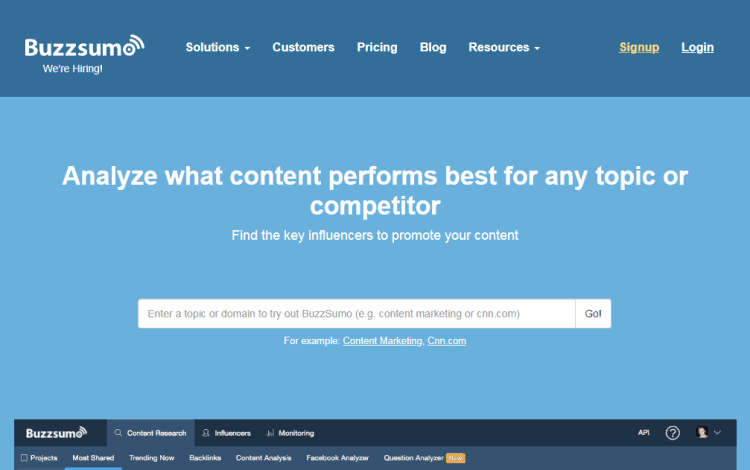 Now, you have to tailor your content and SEO efforts, so that you can easily connect with all the segments. Identifying a “type” of persona isn’t enough. You need to describe each of them in detail. 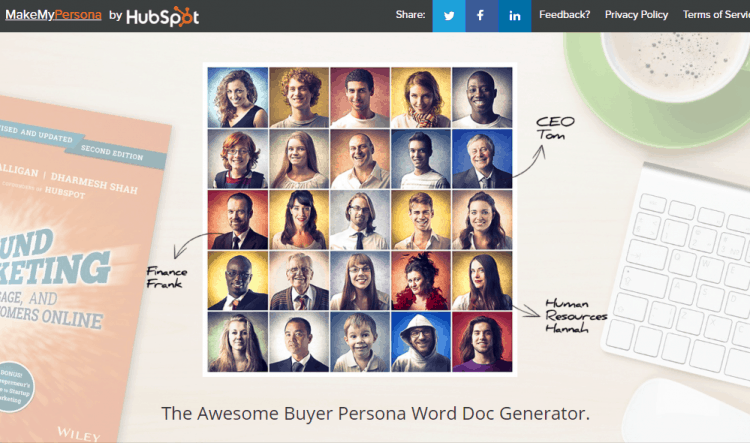 If you’re not getting any idea for describing these personas, you can take guidance with HubSpot’s MakeMyPersona. Once you have made personas, you should frequently refer back to them while working on SEO, content development, and social media marketing. Now, you have completed two steps i.e. conducted market research and build your personas. Now in the third step, you will have to find influencers who can promote and grow your brand’s visibility. Doing this, you should start by finding people who have a direct influence on your targeted audiences. These people will critically help you in leveraging your customer’s purchasing decisions. How to identify specific influencers? Influencers can be anyone, like celebrities, industry experts, social media experts, and businessmen. You need to identify who would come to your use. You can take help of popular Snapchat celebrities or YouTube influencers or also use tools like BuzzSumo and FollowerWonk to identify them. When you are looking for one of these influencers, consider the following. When you’ve found influencer/s pertinent to your targeted audience, you can start outreaching your brand. When you’re hiring influencer for your brand’s outreach objective, you initially explain your objectives and expectations. Targeting your audiences is always important for your business, but at the same time, you need to make a comprehensive plan for engaging them with your brand. Above-mentioned steps will help you in doing market research, building personas and identifying influencers. All of these steps are surely going to help you in influencing your consumers in a better way.